This is an absolutely delicious soup. 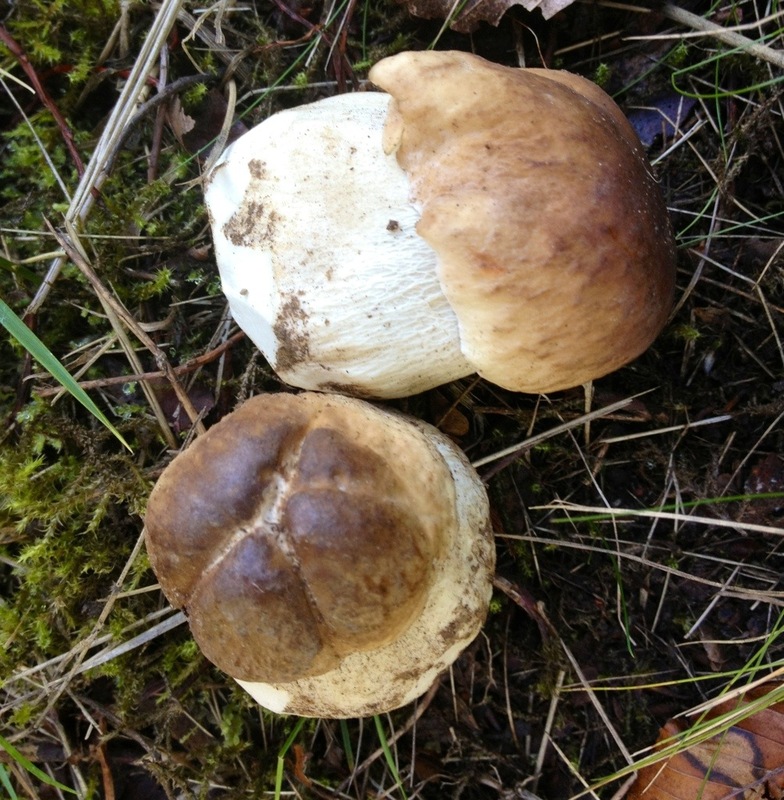 Ceps Boletus edulis and walnuts make perfect partners. It is also very quick and easy to make. Clean the mushrooms by brushing and shaving off any dirt and wiping them over with kitchen paper. Chop them and leave to one side. Slice the onion finely. Sauté the onion in half the butter, in a large saucepan, until it starts to soften. Add the porcini and sauté gently, adding the rest of the butter and the walnut oil. Season with salt, pepper and a pinch of ground nutmeg. Sauté for a further five minutes until the mushrooms start to soften too. Sprinkle over the flour and mix in well with a wooden spoon then start to slowly add the warm stock, blending well with the spoon to prevent any lumps. Once all the stock is in, add the handful of walnuts. Simmer for 10 minutes. Remove from the heat and blend with a stick blender until smooth. Now adjust the seasoning and add the cream. Serve immediately or, if prepared in advance of the meal, reheat before serving. When serving, put into warmed bowls, drizzle a touch of chilli oil on and add some grated or pared Parmesan curls.